A mat forming perennial, happy in sun or shade. 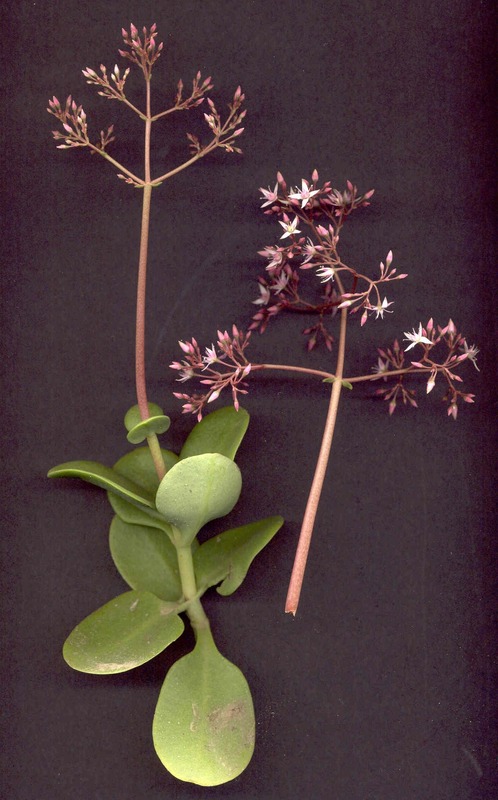 The round leaves are light to dark green depending on the position in the garden, darker in the shade and paler in semi-shade to sunny places. 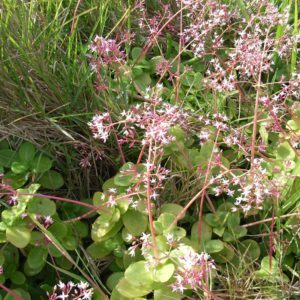 The flowers are petite, charming little stars, hence the common name fairy crassula, and appear in masses above the attractive leaves.